Los Angeles, California, 2017-Mar-17 — /Travel PR News/ — In the midst of a strategic and collaborative initiative to improve the guest experience, Los Angeles International Airport (LAX) has been named one of Skytrax 2017 Top 10 Most Improved Airports. The international air transport standards and quality rating organization hosts the World Airport Awards, widely known as the Passengers Choice Awards, a global benchmark of airport excellence. Out of 100 top airports, LAX moved from No. 91 to No. 86, making it the No. 10 airport with the most improved score. 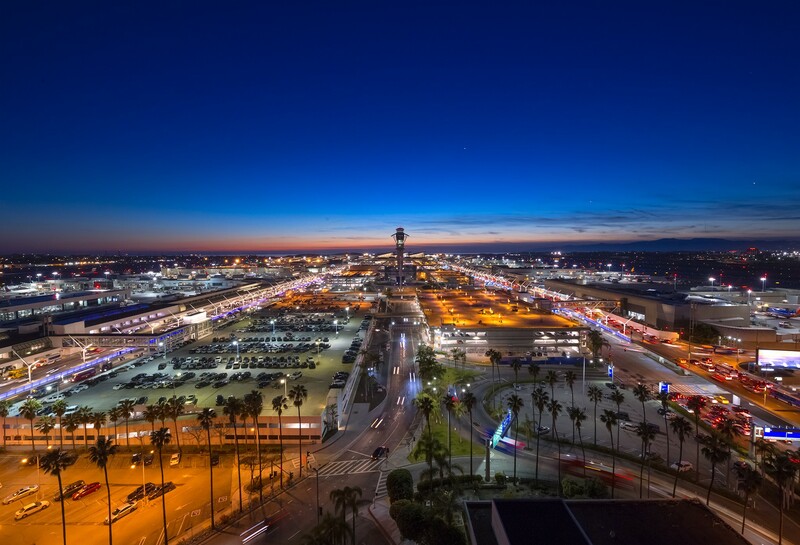 “We are ushering in a new era for LAX and its guests that is as exciting and as big and bold as the iconic city it serves,” said Los Angeles World Airports Board of Airport Commissioner President Sean Burton. “Los Angeles World Airports (LAWA) has launched an unprecedented and transformative culture change which, when implemented with our $14 billion Capital Improvement Program, will re-envision the LAX experience for our nearly 81 million passengers. Through a Guest Experience Council that LAWA formed in collaboration with airlines, concessionaires, Transportation Security Administration, Customs and Border Protection, ground transportation providers and airport employees, LAWA is moving to provide efficient, hospitable and memorable airport experiences through modern, world-class facilities, services and innovation that showcase the ambiance and excitement of Los Angeles and the lifestyle and warmth of sunny Southern California. The LAX roadmap to improve the overall guest experience includes valuable tools such as satisfaction surveys, guest experience councils to ensure airport-wide collaboration, training and mystery shopping, as well as a rewards and recognition program to highlight airport staff that are exceptional in serving LAX’s guests. This strategy focuses on increasing guest satisfaction and optimizing the end-to-end journey with exceptional people, services, innovation/technology, modern and cleaner facilities that convey a positive ambience, and improved efficiencies through increased throughput, decreased wait times, better signage, and streamlined processes. LAWA’s recent Employee Driver Strategic Plan calls for it to work with its partners, stakeholders, and airport staff towards ambitious, but achievable goals related to excellence in people, innovation in processes, exceptional quality in facilities and guest services, and strong business fundamentals, with a mission to “serve the world, connecting people, places and cultures” and a vision of “gold-standard airports – delivered”. The Skytrax World Airport Awards are based on 13.82 million airport surveys completed by 105 different nationalities of airline customers during the survey period from July 2016 to February 2017. The survey covers 550 airports worldwide, evaluating traveler experiences across different airport service and product key performance indicators from check-in, arrivals, transfers, shopping, security and immigration through to departure at the gate. For a full listing of Skytrax award winners, visit http://www.airlinequality.com/news/best-airports-of-2017-unveiled-at-world-airport-awards/. LAX is the fourth busiest airport in the world, second in the United States, and was named Skytrax’ 2017 Top 10 Most Improved Airports. LAX served more than 80.9 million passengers in 2016. LAX offers 742 daily nonstop flights to 101 cities in the U.S. and 1,280 weekly nonstop flights to 77 cities in 42 countries on 64 commercial air carriers. LAX ranks 14th in the world and fifth in the U.S. in air cargo tonnage processed, with more than 2.2 million tons of air cargo valued at over $101.4 billion. LAX handled 697,138 operations (landings and takeoffs) in 2016. An economic study based on 2014 operations reported LAX generated 620,610 jobs in Southern California with labor income of $37.3 billion and economic output (business revenues) of more than $126.6 billion. This activity added $6.2 billion to local and state revenues and $8.7 billion in federal tax revenues. The study also reported that LAX’s ongoing capital-improvement program creates an additional 121,640 annual jobs with labor income of $7.6 billion and economic output of $20.3 billion, $966 million in state and local taxes, and $1.6 billion in federal tax revenues. @flyLAXAirport , on Facebook at www.facebook.com/LAInternationalAirport , and on YouTube at www.YouTube.com/laxairport1 . Information about LAX’s ongoing multi-billion-dollar LAX Modernization Program, as well as tips and shortcuts to help navigate LAX during construction, are available at www.LAXisHappening.com . This entry was posted in Airlines, Business, Travel, Travel Awards, Travel Management, Travel Services, Travelers and tagged 2017 Top 10 Most Improved Airports, Deborah Flint, Los Angeles International Airport, Sean Burton, skytrax. Bookmark the permalink.